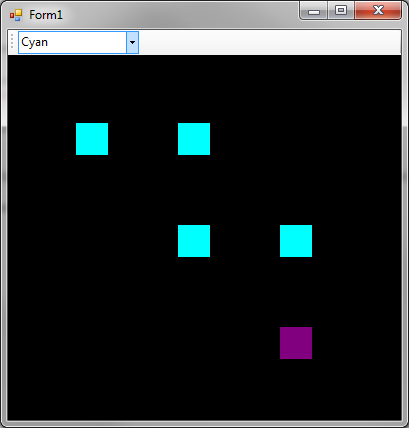 ← MonoGame + WinForms: Where’s My Keyboard? The repository unifies all of the code that I’ve put up as separate downloadable projects in each post. The code is also improved in some places, and includes better example projects. Since I’ve caught myself re-implementing the basic control code several times now in projects, I’ve setup the main control project as a standalone library that you can include and extend. You can still use the code as a template to directly copy into your projects if that fits better. So far I’ve written three entries on this topic. Two of them have been prompted by your questions and feedback. The WinForms controls repository will be updated accordingly I write new entries, although it may continue to see minor changes regardless. There’s an open pull request on multi-GameWindow support for DirectX. 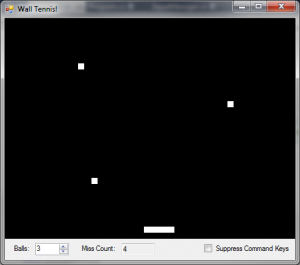 It looks like this will be included, and then will be applied to OpenGL. This could result in DirectX-controls becoming viable. It could result in a better way of managing OpenGL controls down the road. It may also remove the need to implement our own version of the Game class. That would be very welcome, but I don’t have any answers yet. There’s open debate on whether SDL2 could replace OpenTK as an underlying game/rendering platform. This would likely invalidate everything that has been put up so far, since we currently depend on OpenTK’s GLControl and what it exposes in terms of OpenGL context and APIs. It’s unclear if there will be an SDL2 equivalent that works without hacking into MonoGame and/or SDL2. These are issues I’m keeping an eye on. If you have more information on these topics, feel free to share in the comments. This entry was posted in Tutorials and tagged MonoGame, WinForms. Bookmark the permalink. – Are you running any of the three included demo projects and getting this error? – What version of the MonoGame DLL did you reference? The last release that MonoGame released (3.0.1) is ancient. The current WinForms code is meant for more recent versions, which you must check out and build yourself from source. I’ve tried to build the Content object as MonoGame.Framework does, but I end up needing a “Game” object, but the moment I call the Game constructor, the windows form is rendered white instead of rendering the pong game. Maybe I’m missing something, but I don’t see where MonoGame.Framework needs a Game object to create a ContentManager. have you tried the control with several simultaneous forms ? 1) A crash disposing the GraphicsDeviceControl when exiting the app. I think the problem may be that for some reason the MGWinFormControl is not released or disposed when I close the “tool form” which contains it. Is it possible? How can I do it automatically? p.s. just checked a little bit before posting, the crash seems to be producted by a MGWinFormControl that is “zombie” after closing a “tool form”, not by the two main MGWinFormControls in the main form. This may reinforce the idea that the MGWFControl is not released.